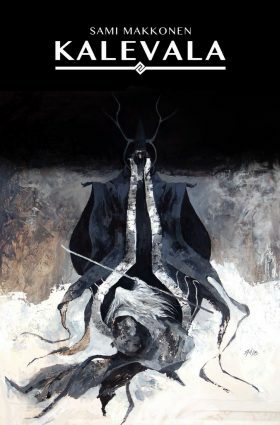 A stunning comic adaptation of the Finnish national epic Kalevala, which inspired J.R.R. Tolkien to write Silmarillion and Lord of the Rings. The story tells the adventures and fates of wizard Väinämöinen, warrior Lemminkäinen, black-smith Ilmarinen and several other larger than-life-characters looking for love, riches and magic in the far-away lands of the ancient North. The world of Kalevala is lyrical, harsh and totally unique.